With April 13, the remembrance day of Lebanon’s war occurring today, I found this post-civil war footage by Nabil Chehade of Beirut’s Downtown. 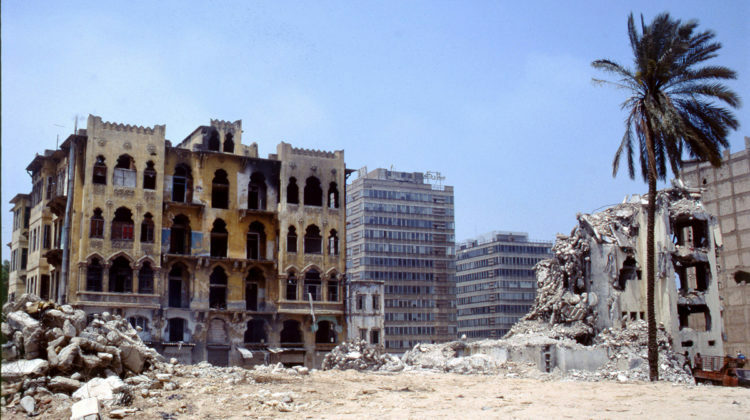 I remember we went to visit Down Town Beirut during my school years and I had never seen this level of destruction ever in my life. Let’s hope Lebanese will never have to face another civil war and that we will be able to turn the page once and for all. While buildings were renovated and the downtown looks modern, civil war mentalities are still ruling the country and ruining it for the generations to come.